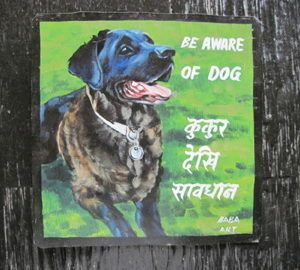 This handsome black lab looks graphically great in his double circles. 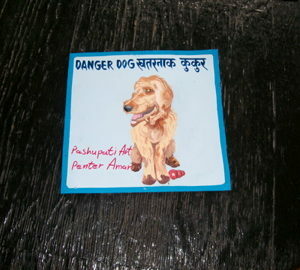 A true Danger Dog. 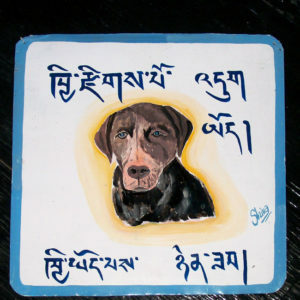 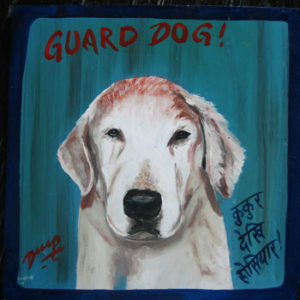 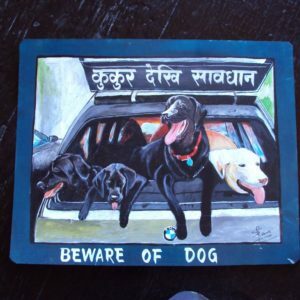 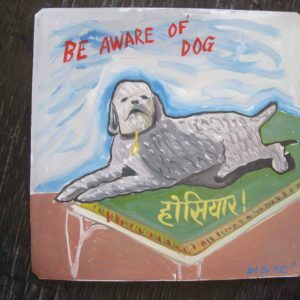 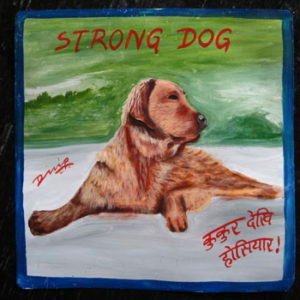 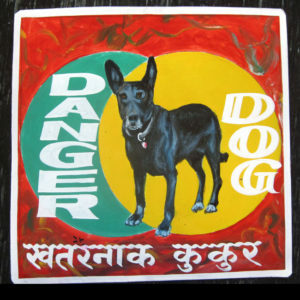 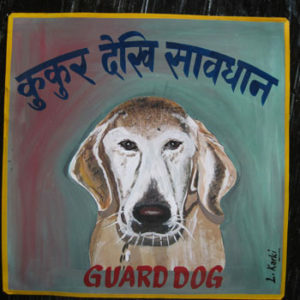 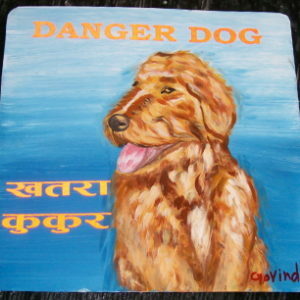 Oscar the Labradoodle is hand painted on metal by Amar Shrestha. 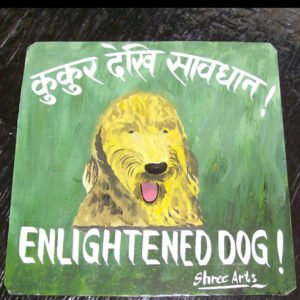 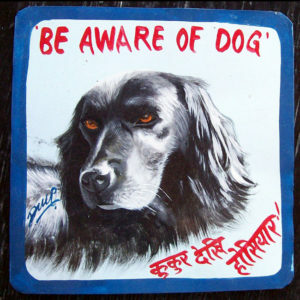 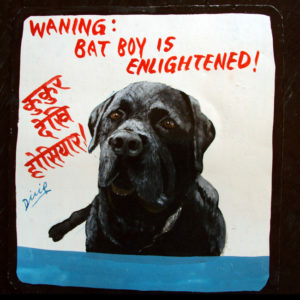 Oscar the Labradoodle by Govinda features glow in the dark lettering. 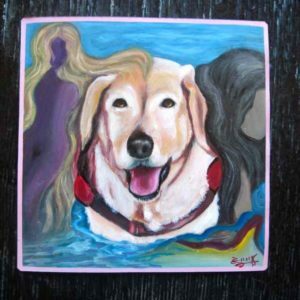 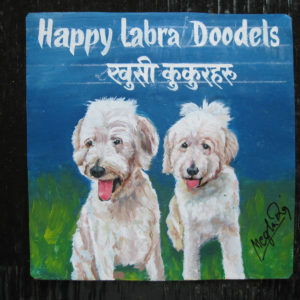 This folk art portrait of Rosie the Labradoodle is by Hari Timesima. 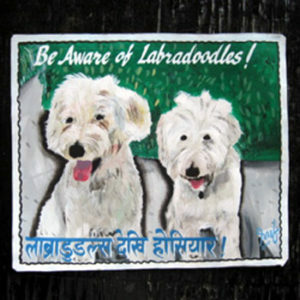 GP & Dublin again, Labradoodles, hand painted on metal by Sufraj Khadka.